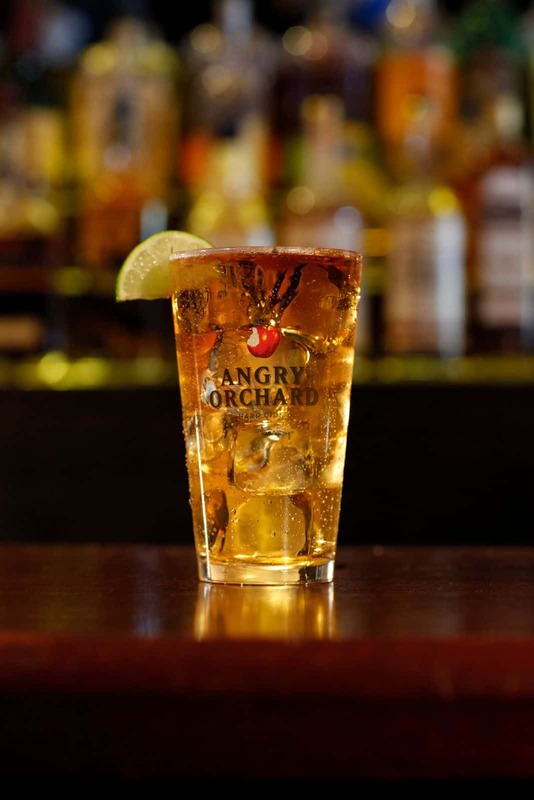 In a pint glass, combine 1½ ounces Fireball Whisky and Angry Orchard Crisp Apple over ice. Combine all ingredients in a shaker, except cider, and shake. Strain into a rocks glass with ice. 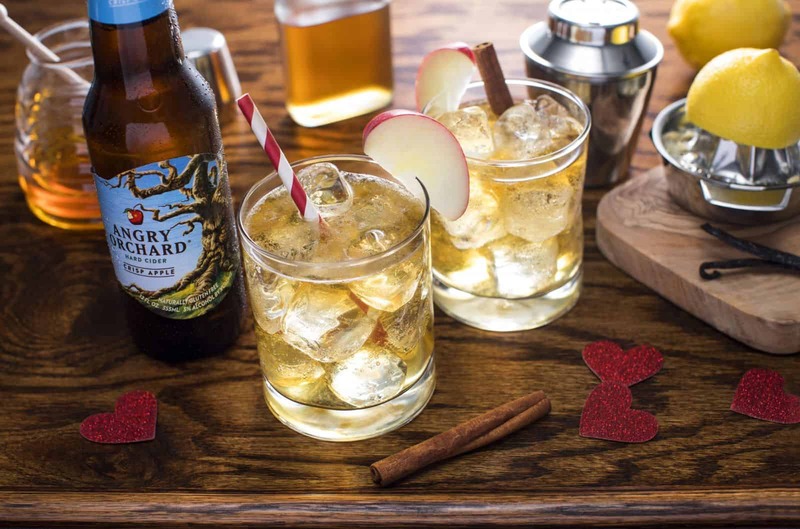 Top with Angry Orchard Crisp Apple and garnish with an apple slice and cinnamon stick. Muddle strawberry, then add all ingredients except cider to a shaker. Shake, then fine strain into a rocks glass with ice. 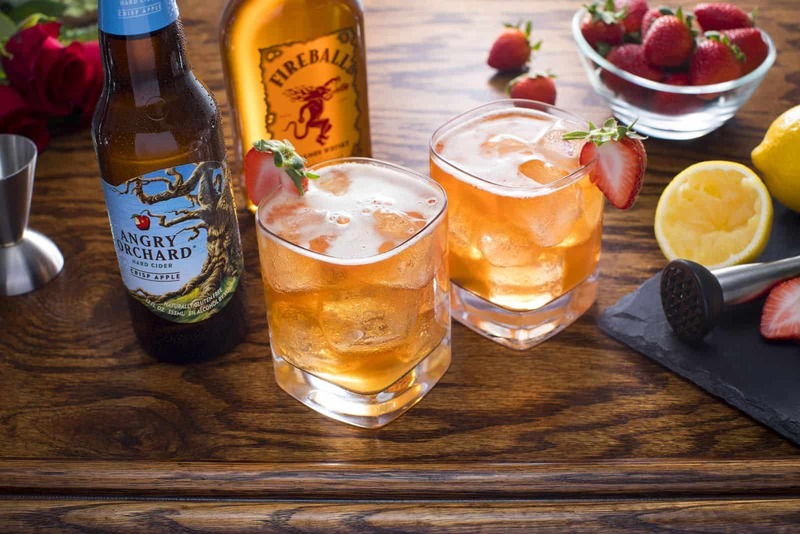 Top with Angry Orchard Crisp Apple and garnish with half a strawberry. Recipes courtesy of Angry Orchard Hard Cider.